Two years ago I had a freak reaction to minor surgery when my blood began to coagulate at an abnormal rate creating numerous blood clots that raced through my veins, into my heart—nearly stopping it and then splattered onto the wall of my lungs in what the technician said was more blood clots than they had ever seen in a living person’s lungs. Curly: Do you know what the secret of life is? One thing. Just one thing. In that moment with my heart pounding wildly, knowing I had only moments left of consciousness, to be honest there was more than one thing. There were three things. First, believe it or not, I had run into the bathroom for some odd reason and I immediately thought of Elvis and realized that I did not want to die in a bathroom. Yes, really. I returned to the living room. Then I looked at my husband, Randy. It had been a very difficult couple years for him and I worried about how he would deal with this. Randy and I have this amazing communication. Later, when they carried me to the back of the ambulance he was instructed to follow us. As the doors to the ambulance were closed I thought, I don’t believe Randy knows that he will never see me again. A moment later the back of the ambulance opened and he smiled and said, “See? You thought you wouldn’t see me again.” He doesn’t remember saying that to me. The third thing that I thought was that I was a storyteller yet nobody had ever read any of my stories. I had files and files of unfinished novels and screenplays. But I had never had the courage to allow anyone to read them and I had come to doubt my ability to complete a novel. One year later I was still thinking about previous novels and how I would finish them “one day” when suddenly a new concept for a story flashed into my head in a matter of seconds. It was a storyline so odd to me in a genre I would never have considered and yet I was absolutely compelled to write. I was working twelve hour days in D.C. in an intense job and truly no time to write. So I pulled out my iPhone and wrote on the notepad while walking the mile to and from my car, during lunch and other breaks and then in the evening when I got home. In three weeks I had completed my first novel. What an extraordinary gift! Followed by another…the story was a trilogy. 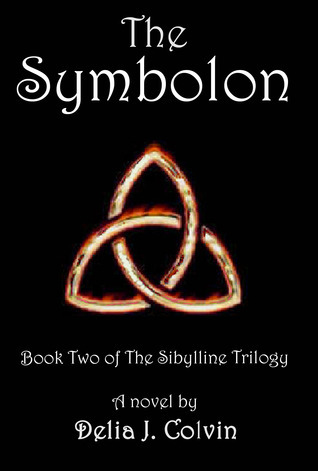 Within 10 weeks I had completed the first draft of a paranormal romance, The Sibylline Trilogy. This was followed by the arduous task of rewriting, editing and learning the book business in a world that is changing rapidly. For the past year and three months I’ve been a full-time novelist and I now spend a glorious 10-14 hours a day mostly writing but also learning and working the book business. I’ve been blessed to have stumbled upon the most extraordinary of teachers—first and foremost the amazing Melissa Foster, bestselling author and best friend to authors around the world with her various author groups—primarily Fostering Success. I’ve seen the first two novels of the trilogy, The Sibylline Oracle and The Symbolon hit Amazon’s bestsellers lists with extraordinary reception. I’ve made money (yes, it is possible). But mostly I am living a life that reflects my one thing—okay two things, my passions, my husband and my writing and it is a beautiful life!